I have NEVER been a fan of ketchup and therefore I ALWAYS hated being served meatloaf. 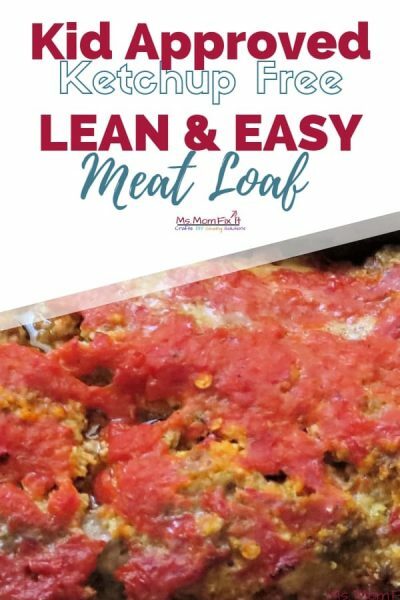 Several years ago I came across a lean meatloaf recipe that I have adapted to my liking. The recipe is super easy and you don’t need any fancy equipment to get it right. 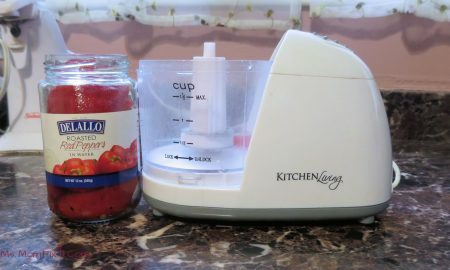 As you can see in the pictures below, I simply use a small food processor which you should be able to get for around $10-$15. I love the taste of the roasted peppers. 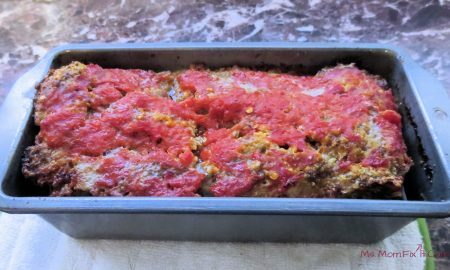 It gives the lean meatloaf a sweetness that contrasts with the meat just perfect. Almost like putting tomato on a cheeseburger. Yum! 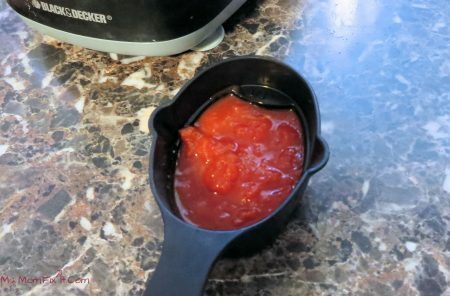 Puree roasted peppers in a food processor, and transfer to large bowl. If you use a small food processor like mine, simply add the peppers a little at a time. As the peppers get ground, you can add more. Set aside 1/3 cup. Coarsely grind oats in a food processor. Then, add in parmesan, parsley, oregano, salt, and pepper. Stir the oat mixture into the roasted pepper puree. Add both the egg and the egg white. Crumble the ground beef into the mixture and combine well. I prefer to do this step with my hands. You may spray your hands with a non-stick cooking spray to prevent sticking. 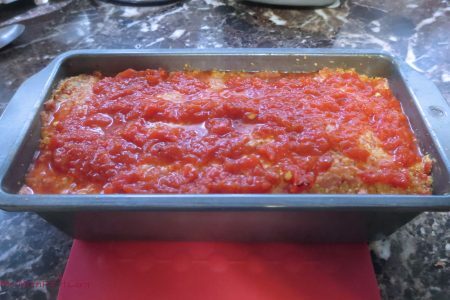 Spread meat mixture in a 5 X 9-inch loaf pan packing well. Spread the reserved roasted pepper puree on top. Bake for 55 minutes and let stand for 10 minutes before slicing. There is really nothing about this recipe that you can mess up. If you follow my blog, you will know that I can burn something when defrosting! So, rest assured you CAN make a delicious meatloaf if I can. Ketchup Free Lean and Easy Meatloaf that is simply delicious! Your family will marvel at this sweet yet meaty blend. 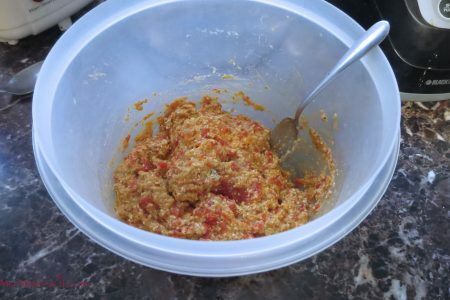 Puree roasted peppers in a food processor, and transfer to large bowl. Set aside 1/3 cup. Stir the oat mixture into the roasted pepper puree. Add egg and egg white. Crumble the ground beef into the mixture and combine well.